At Chilbolton they are building up their stores of HBA tiles. During this time, the ground crews are preparing the surface ready for the tile deployment. 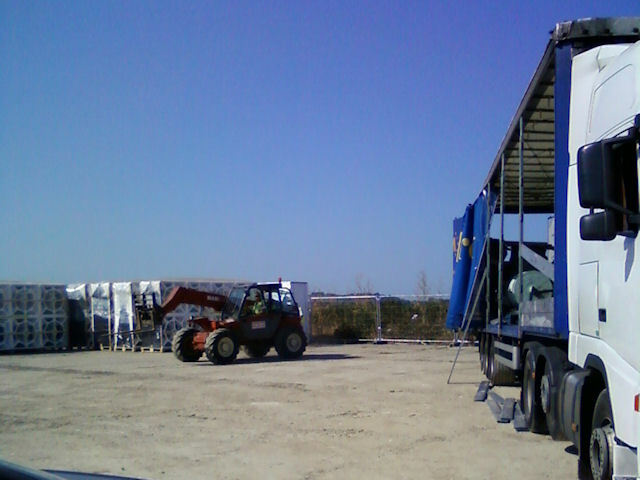 When they are done, they want to ensure that there is a good stock of tiles ready to go. 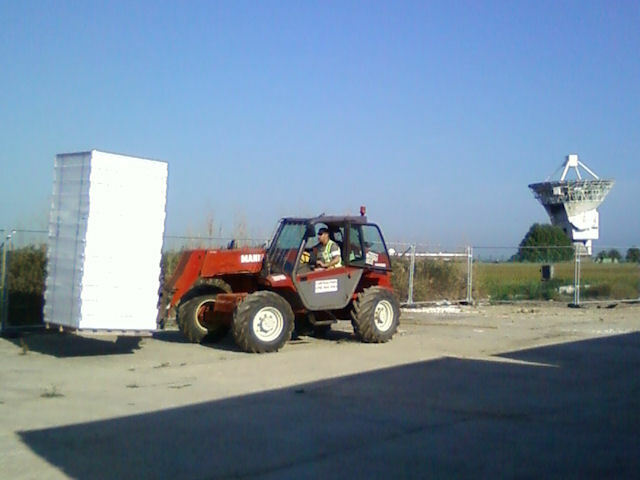 Using an all-terrain forklift, the pallets are removed from the lorries. 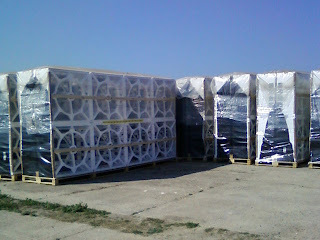 In addition to the tiles themselves, there are stacks of "lids" which will go on top of each tile after it is unfolded. The slowly building stock of HBA tiles.